Published on Monday, October 7, 2013. Custom Bike Builder Erik Noren. Photograph by Julie Hanus. 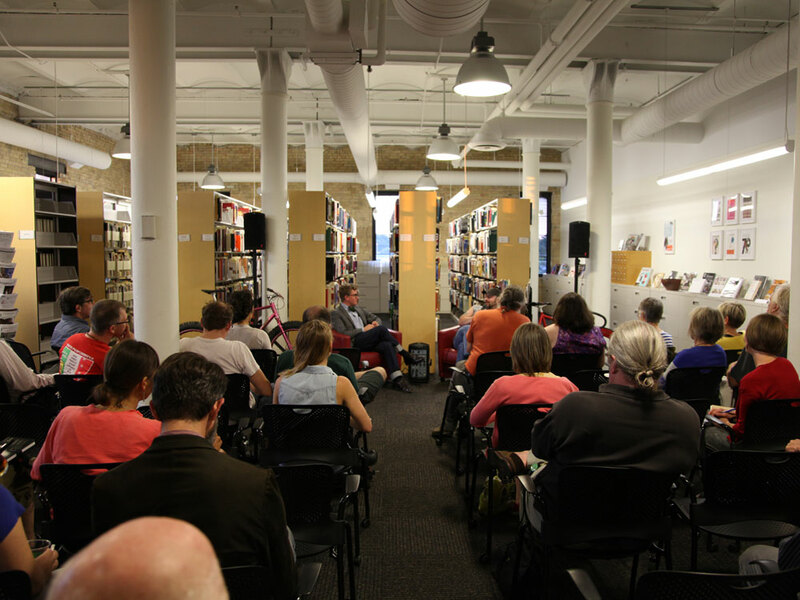 Anyone who attended our last Salon Series can verify this statement: Erik Noren brought the house down. 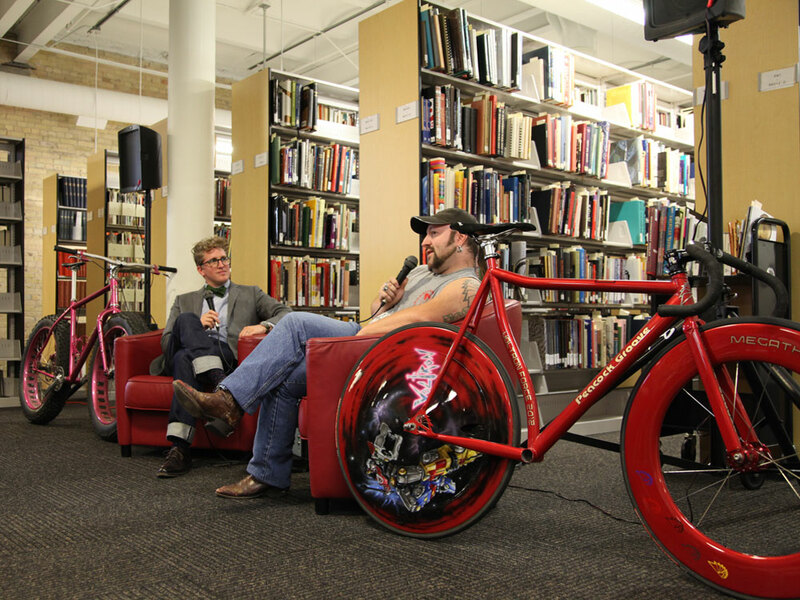 Noren, a custom bike builder and owner of Peacock Groove Cycles, talked about his background, gave his candid and colorful opinions about the state of custom-bike building in America, and shared wonderful stories about the importance of bicycles to people and communities. He even brought by a few bikes for people to marvel at. The ACC staff sat down with Erik Noren before the beginning of the Salon to ask him a few questions about his craft. 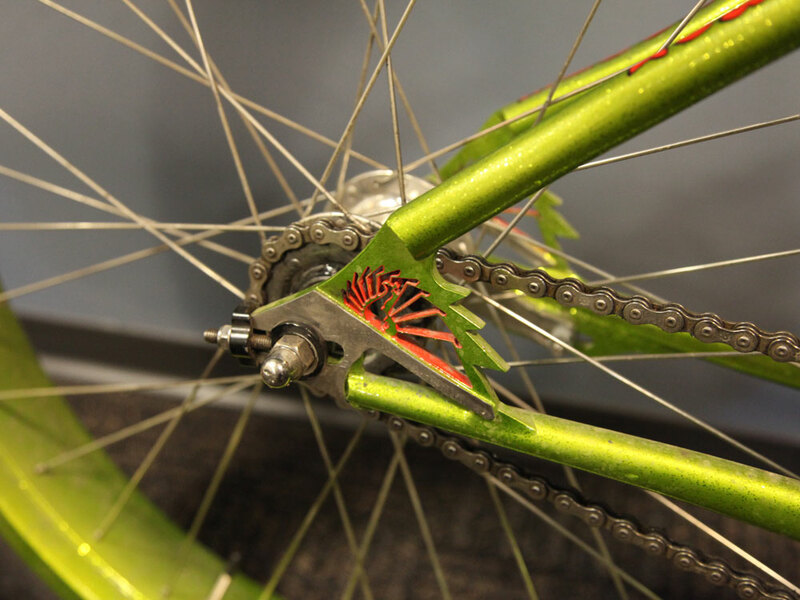 Detail of a Peacock Groove bicycle. Photograph by Julie Hanus. Attendees seated at the beginning of the Salon. Photograph by Julie Hanus. ACC director of education Perry Price, in conversation with Erik Noren. Photograph by Julie Hanus. 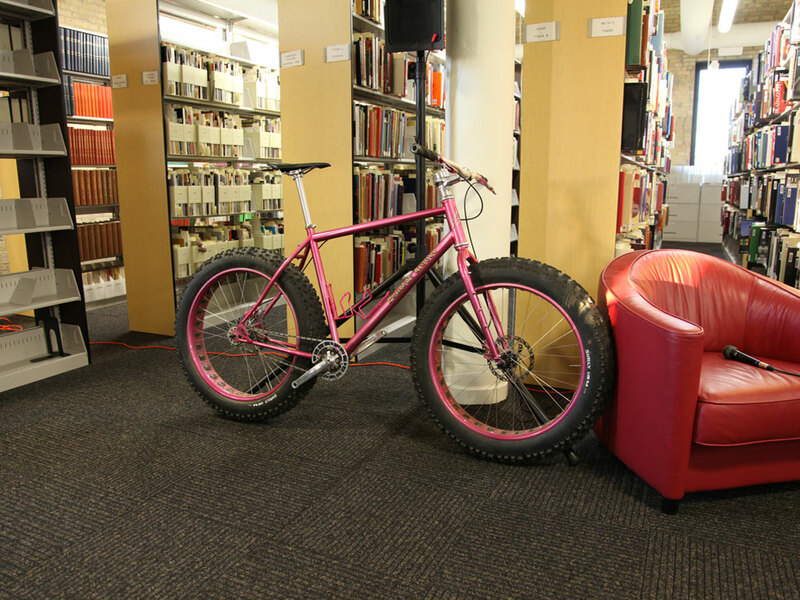 A Peacock Groove bicycle by Erik Noren. Photograph by Julie Hanus. 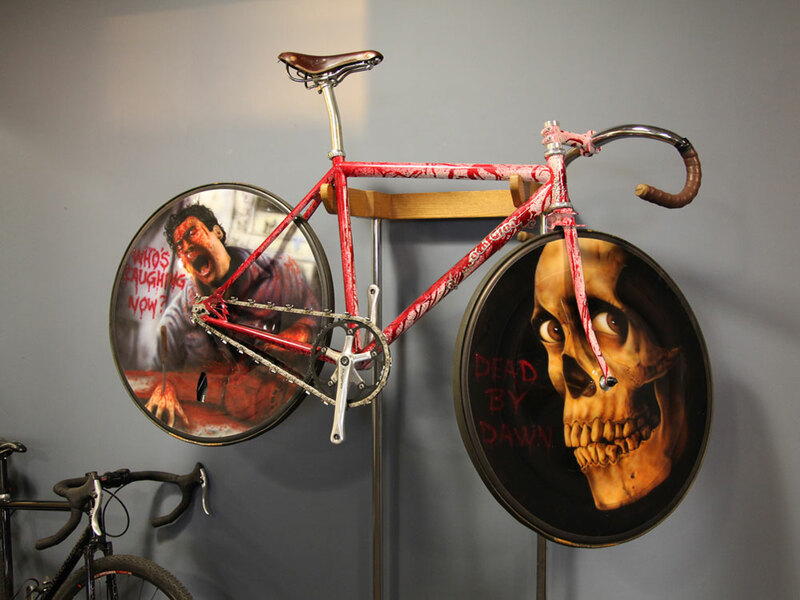 A Peacock Groove bicycle inspired by the movie Evil Dead 2: Dead by Dawn. Photograph by Julie Hanus.